With the summer nearly over and long nights replaced by early school bus mornings, the UNY Stargazing series has returned to its regularly-scheduled monthly publishing. The latest article in the Upstate NY Stargazing series, “Upstate NY stargazing in September: Cassini’s end and morning planet delights,” has just been posted to newyorkupstate.com and syracuse.com. The Great American Eclipse for 2017 has come and gone without major reported inconvenience to the cities that ended up hosting large groups. This is good news for Western and Upstate New York, as we will be participants in the observation of totality on April 8, 2024 and have to contend with potential crowds on top of whatever weather early April brings that year. 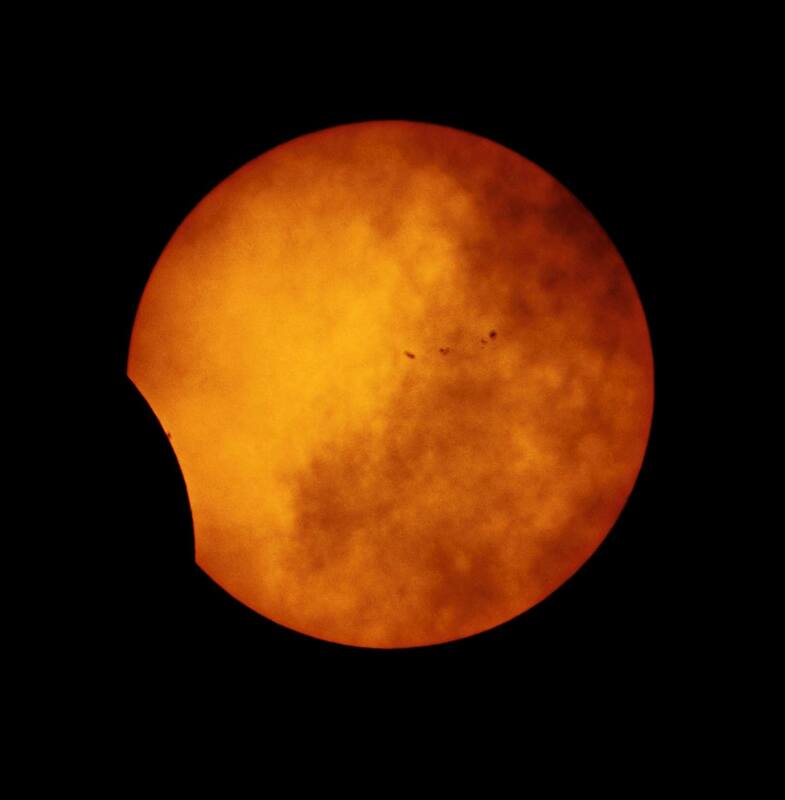 In the meantime, if you still have your eclipse glasses, you can give others an opportunity to enjoy upcoming total eclipses in South America and Asia in 2019. Consider donating your glasses to the great outreach organization Astronomers Without Borders – see the link for all the details. 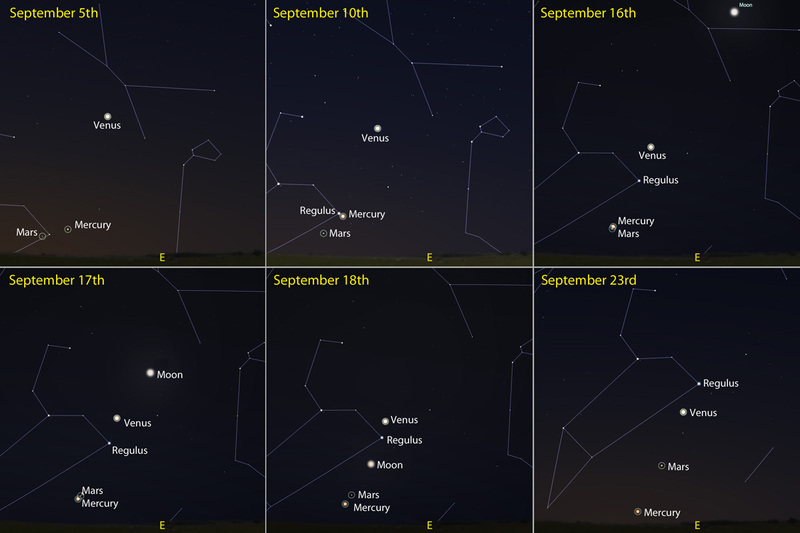 * It is a busy month for amateur astronomy, with Jupiter getting very close to being un-observable until December (so catch those photons now), Cassini about to take a serious plunge into Saturn, and Mercury, Venus, and Mars doing a wonderful dance in the pre-sunrise skies all month. Try to catch the days shown below (and see the article for more details)! * The constellation of the month is Draco – and with just one more circumpolar constellation to go, we’re two months away from explaining just what that means!